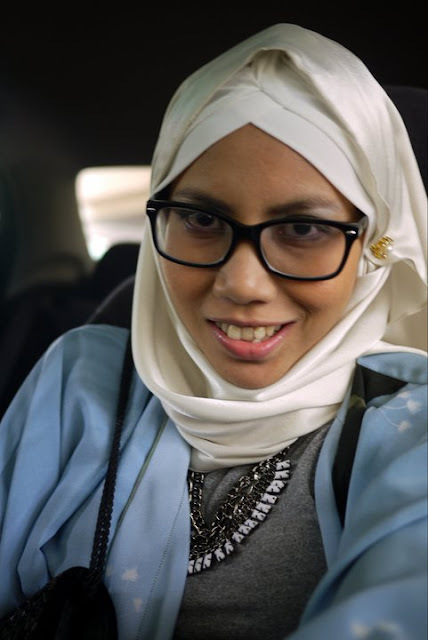 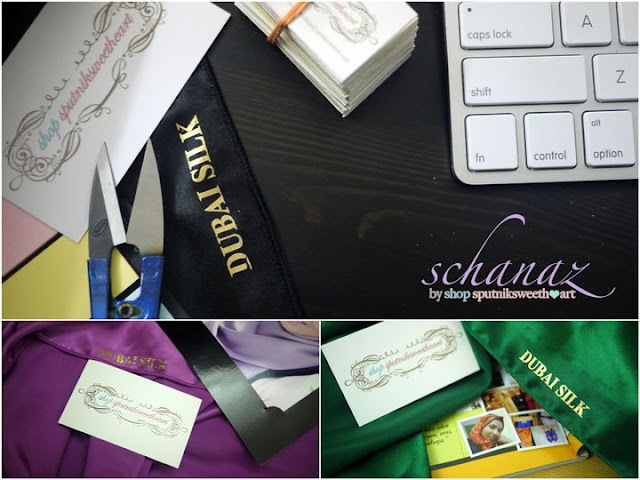 All scarves are made of Dubai Satin Silk (as told by draper) however it's imprinted on the fabric as Dubai Silk. 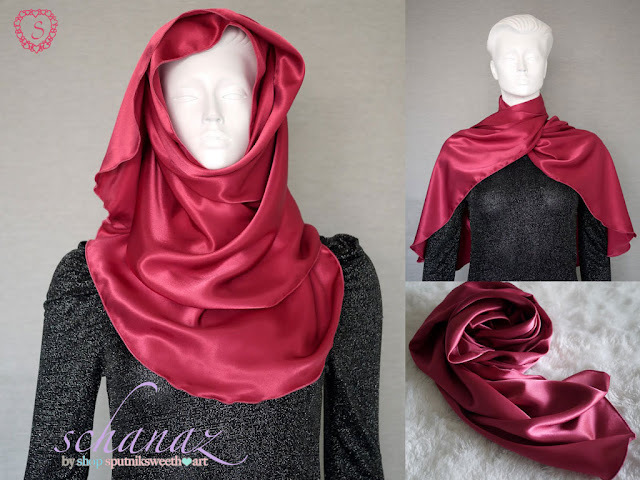 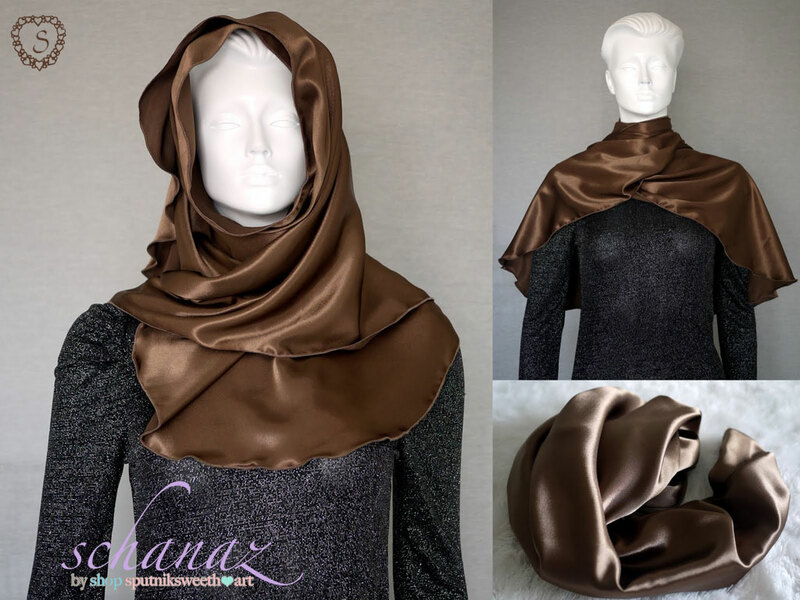 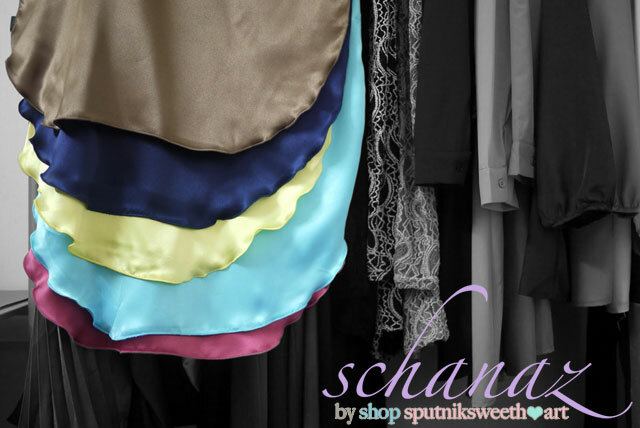 Premium quality satin silk, therefore it's very flowy, silky soft, easy to iron, glamorously shiny and the best thing of all it's light and does not trap heat! 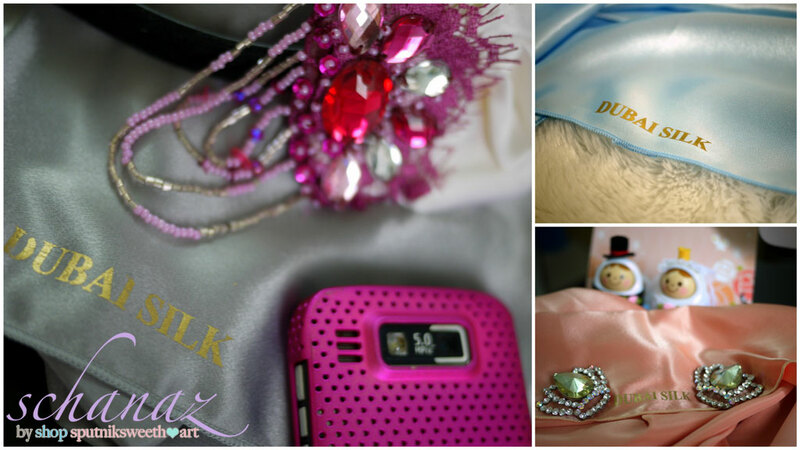 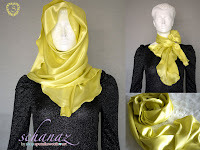 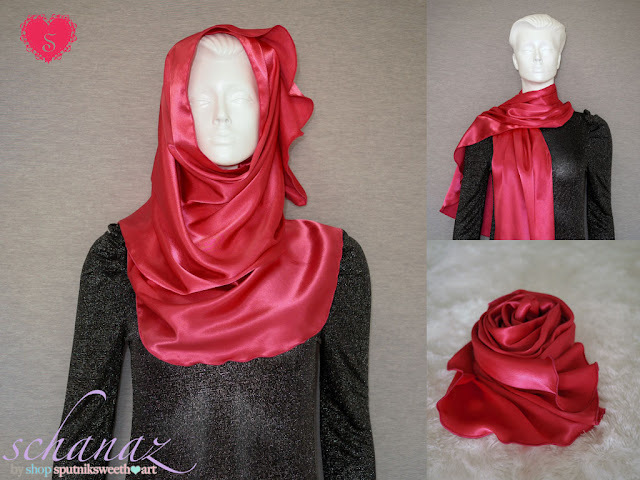 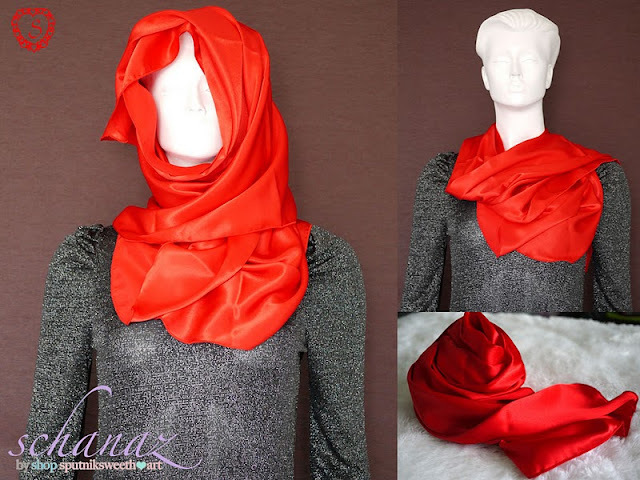 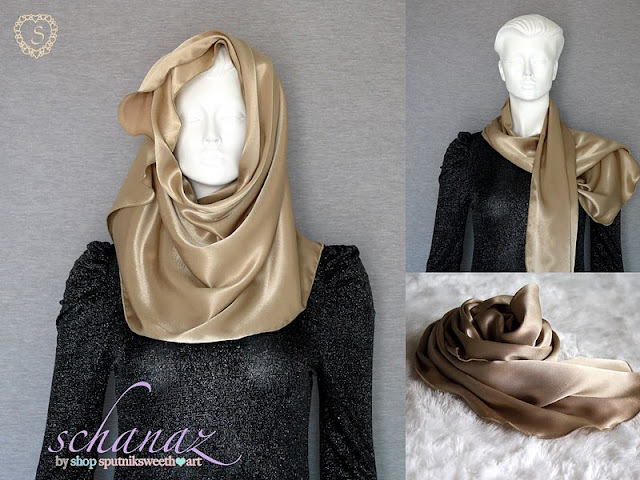 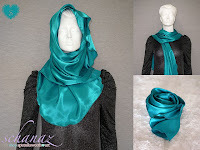 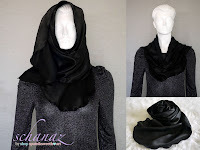 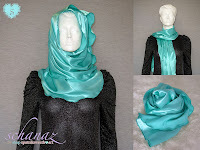 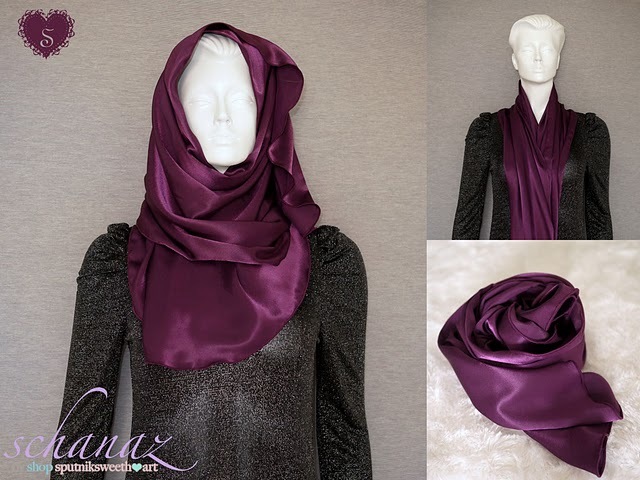 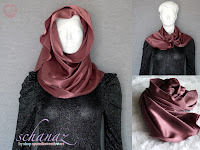 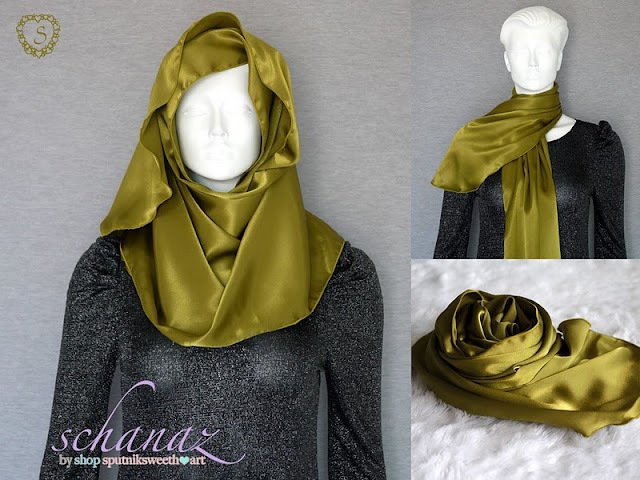 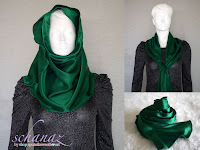 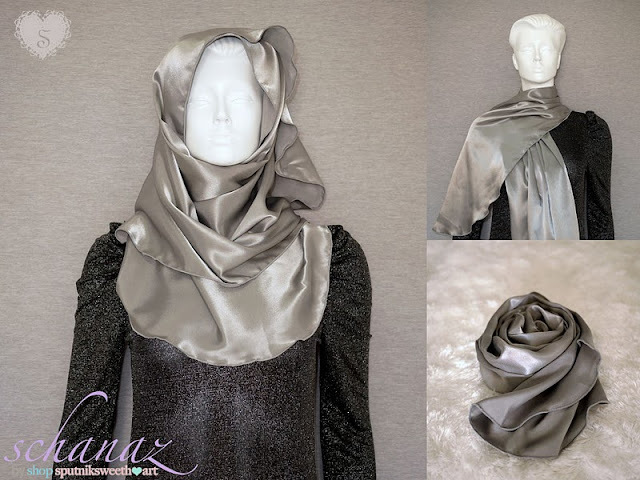 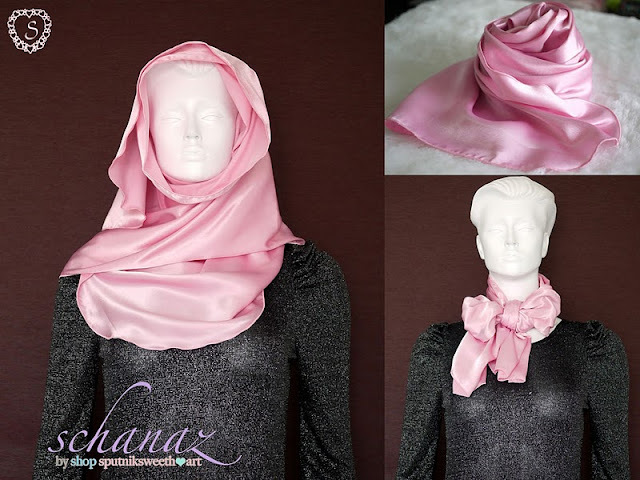 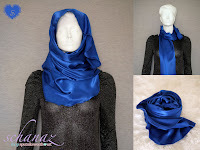 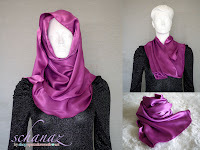 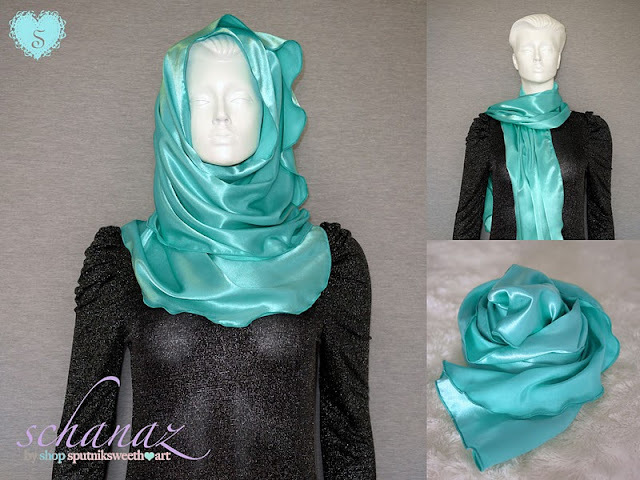 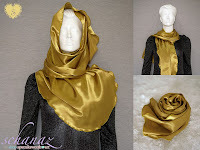 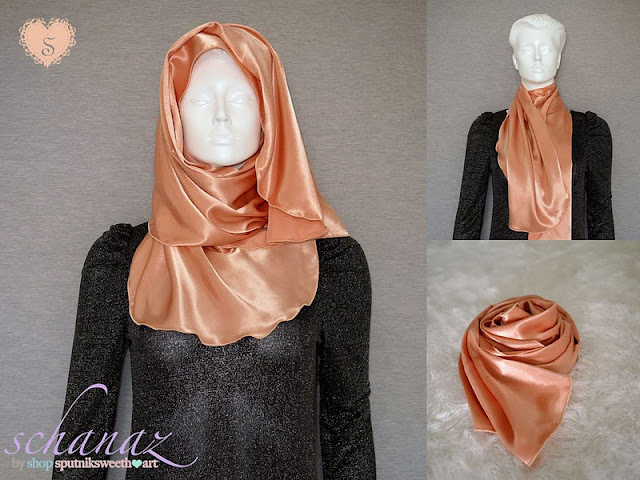 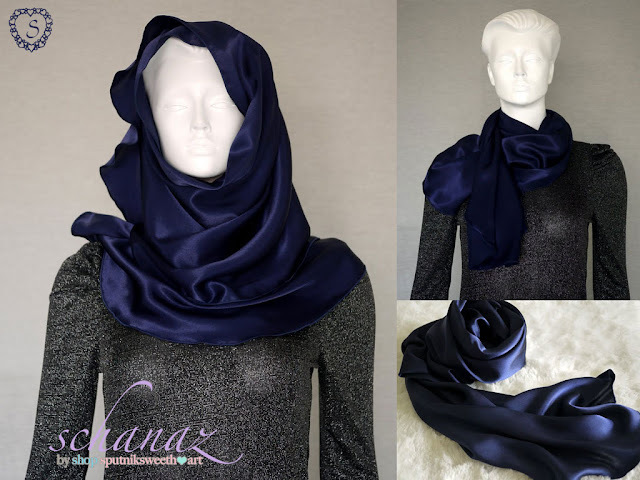 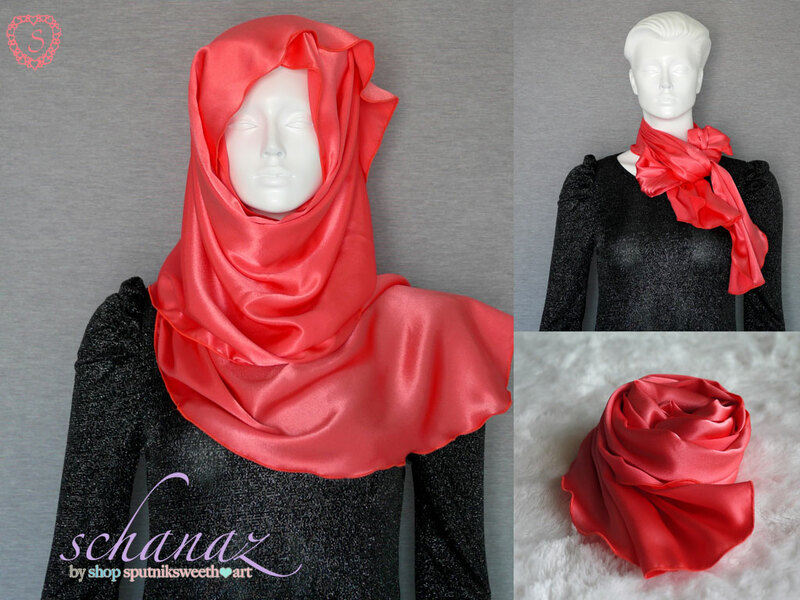 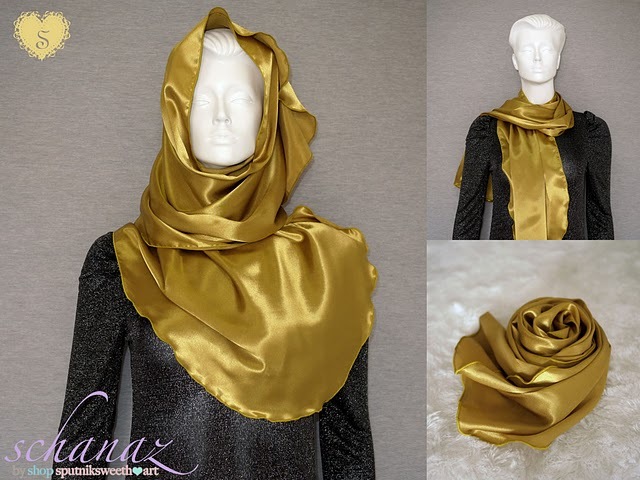 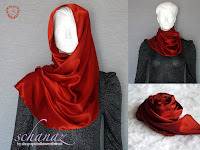 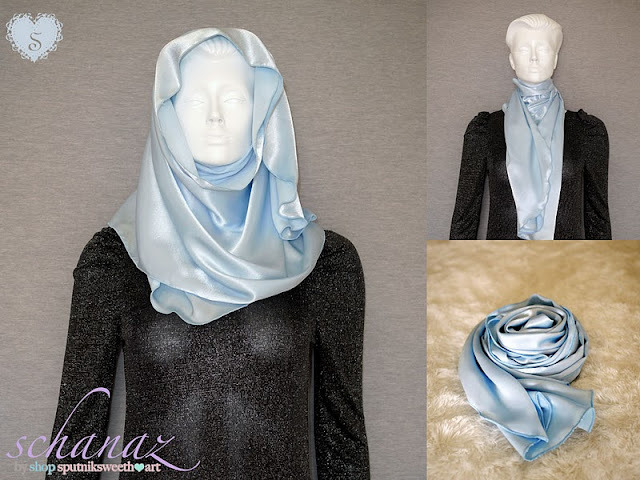 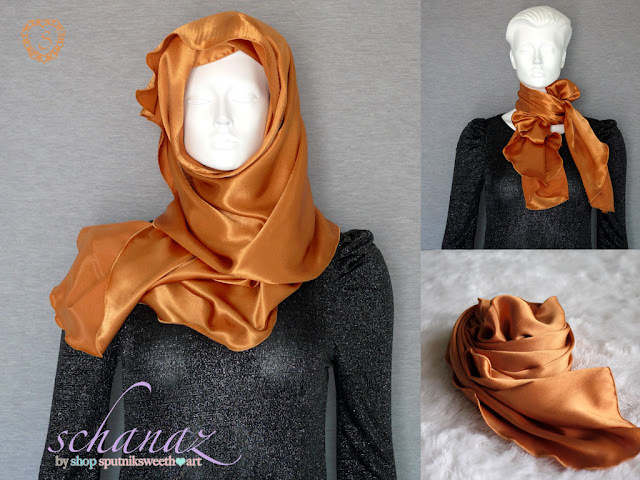 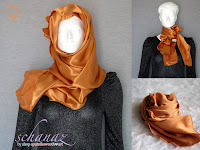 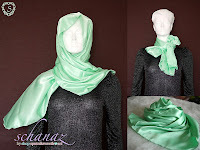 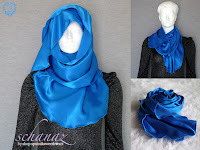 Schanaz Silk Satin Scarf has been sold more than 1000 pieces worldwide in the year 2011! Length 1.5m with each end is half-moon shaped, width 55cm.